Single, Double and Triple Strand TSUBAKI BS Roller Chains are standardized in accordance with the ISO type "B". The dimensions are fully interchangeable with chains built according to the BS228: 1970 and the DIN8187. 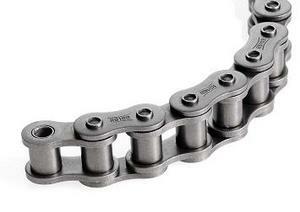 Riveted type chain will be supplied unless otherwise specified. Attachment chain is also available.